A personalized and unique new way to master every aspect of the game. Reynolds Kingdom of Golf presented by TaylorMade has established an incredible learning environment with topflight facilities and first-rate instructors. Whether you’re here to improve your short game, add a few yards or perfect your swing, we are confident that one of our private instructors can equip you with practical solutions for your unique game. You’ll leave with specific knowledge that you can take home and repeat time after time. 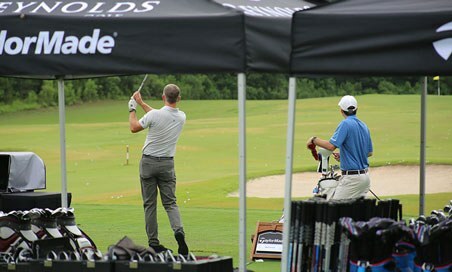 From beginners to professionals, Reynolds Kingdom of Golf presented by TaylorMade will provide a personalized and unique new way to master every aspect of the game. With years of experience, our instructors are energized by helping players take their game to the next level — and then the level beyond that. Our Members enjoy the focused, personalized attention of golf professionals at an exclusive rate. Take full advantage of your resort vacation with this incredible opportunity to completely revitalize and reignite your game. Whether you're just starting out or already an elite member of the American Junior Golf Association, our fitters, instructors and programs are designed to improve all skill levels.